For more information and to watch for the release of a Call for Abstracts, please visit: https://nursingworkforcecenters.org/. The focus is "The Changing Face of Nursing in the Decade Ahead". 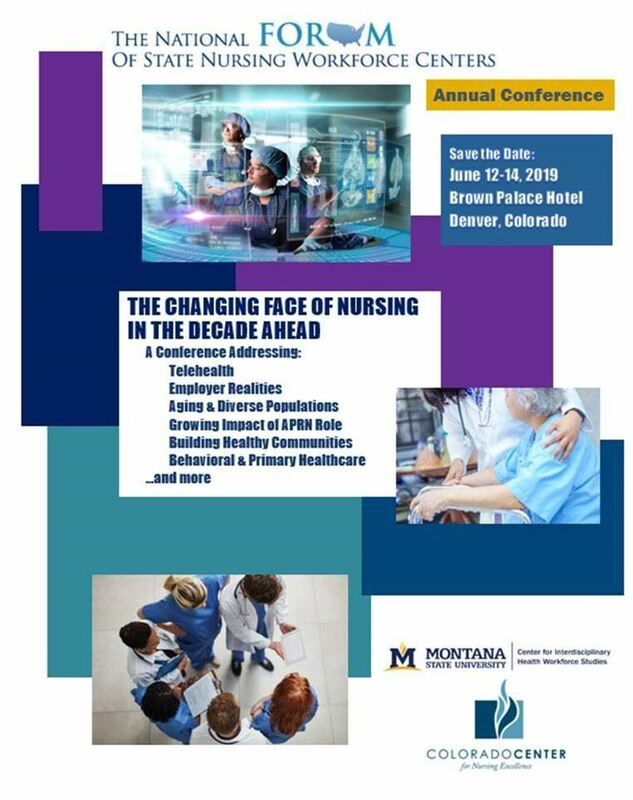 The conference, which is being held at the Brown Palace Hotel in Denver, Colorado on June 12 - 14, 2019, will bring together nursing, healthcare, and workforce research leaders from across the country to discuss important issues related to the current and future nursing workforce of America. Co-hosting the event are Dr. Karren Kowalski with the Colorado Center for Nursing Excellence and Dr. Peter Buerhaus with Montana State University Center for Interdisciplinary Health Workforce Studies. Our plenary speakers and breakout podium presenters will be leading discussions related to telehealth, employer realities, aging & diverse populations, growing impact of APRN roles, behavioral & primary healthcare, building healthy communities, and many other topics.